The days are longer now; the sun waits for me to feed the horses before sliding into night. The drizzle drops cool my cheeks in tiny flecks, blown in by a warm breeze. In the darkness of the wet night, frogs sing their mating songs- seems like thousands of them just a stone’s throw away. 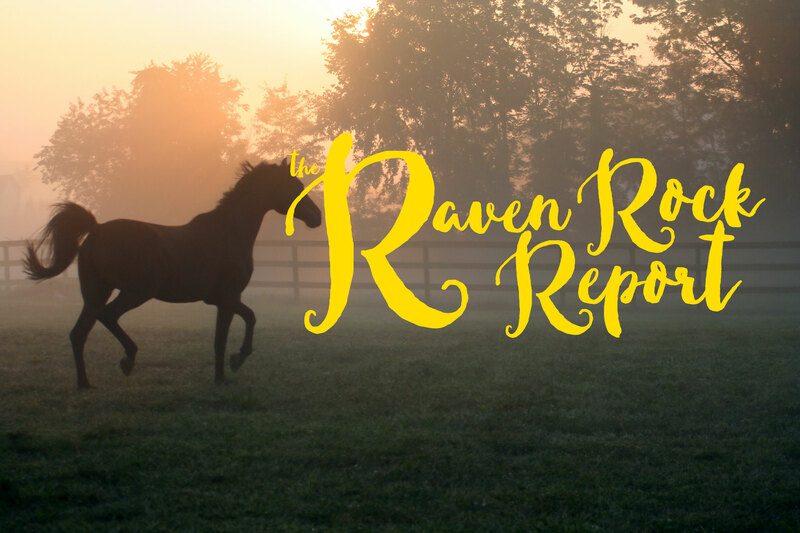 Spring is close- we don’t need a groundhog to let us know- we have horses anxiously losing their too-warm, itchy coats in pretty billows all over the barn aisle. We are back to work after the long December break- we are all glad to be “back in the saddle” and have happy kids running all over the ranch. We have added quite a few new kids to our roster and are so happy to welcome them. As you can imagine, Ruby and Ruthie have captured the attention and love of our kids and our volunteers. They just seem to know exactly what to do! They are friendly and curious and so willing to be with the children they choose (oh yes, I still have the horse pick the child). One of our kids was struggling because she had lost her dear friend, Rachel, last October. “It just doesn’t feel the same at the ranch…” she told her Mom. Oh, I know that is true. She tried and tried to reconnect with a different horse. Her sad eyes searched for another horse that could fill that empty space in her heart. Frustrated, she even made it difficult to come out for her session- delaying and causing trouble. She missed that warm embrace that Rachel gave her every time she came. This relationship meant so much to her. Now it was gone and no one seemed able to fill that empty space. We had a great work party- 2 Liberty Road Foundation volunteers and 3 RRR volunteers (including Tim) worked all day to get our new structure up for the surprise that is coming in the next few weeks. I am so grateful to Bill, Daniel, Ted, Dan and Tim for gettin’ ‘er done! Fencing and a structure- no easy task, but these 5 guys are the BEST! A GIANT THANK YOU TO EACH ONE! Please join us for a free event! We are one of the benefactors of Liberty Road Foundation’s 2nd Annual Fashion Show! We are hoping to buy a horse trailer with the proceeds- an ambulance- for our horses if we ever have an emergency. TIME: 12-1:30 (DOORS OPEN AT 11:00 AM) Great luncheon provided! We’ll all be there- RRR is closed that day for this fun event. Please reserve your spot soon! It fills up fast! NO ADMISSION CHARGE! Thank you once again for a record year! Every dollar you donate to our non-profit is tax deductible and goes directly to support a horse and/or the work we do each day with the at-risk kids. We could never do it without caring people like you. The outcomes for these kids begin with self-harm, suicide attempts, dropping out of school, living on the street. When they can come to the ranch, those outcomes change to good grades, good school attendance, self-respect and relationships that are healthy and thriving.